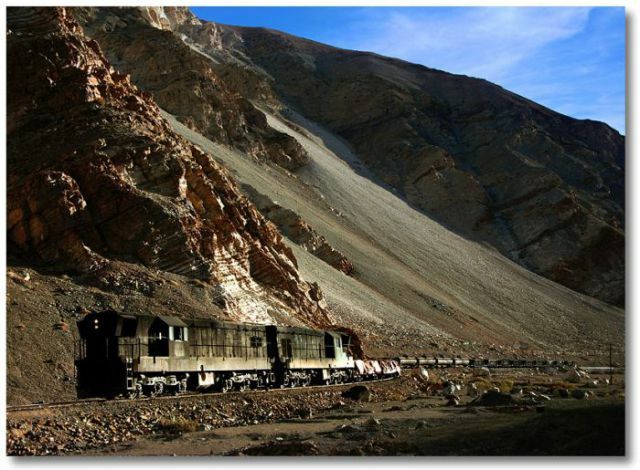 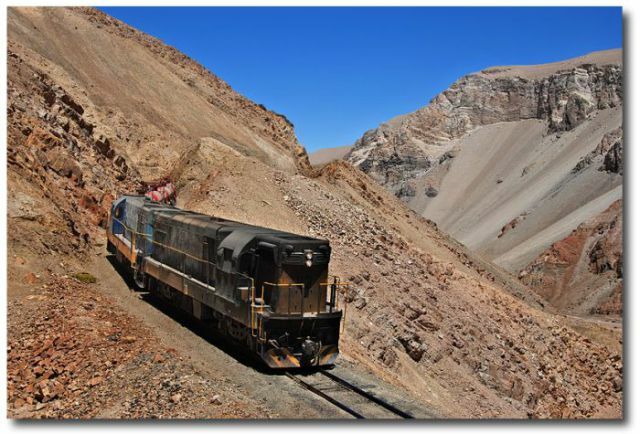 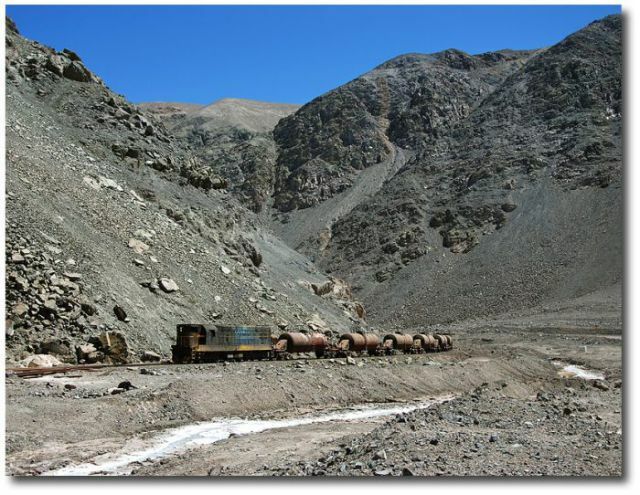 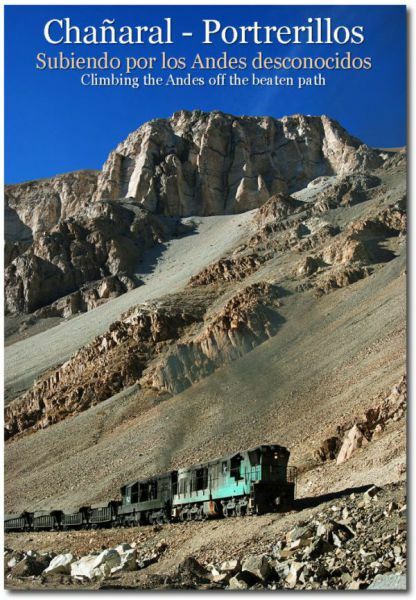 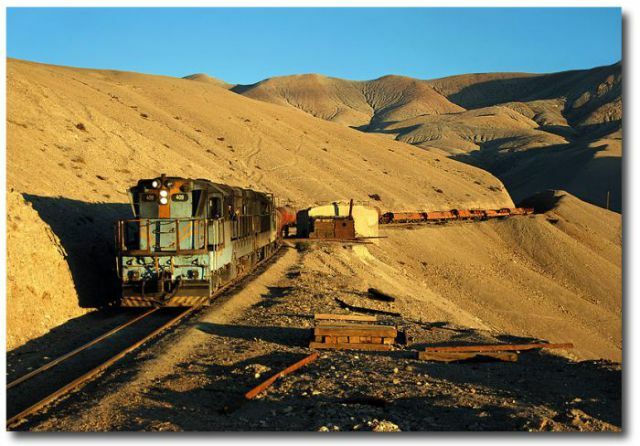 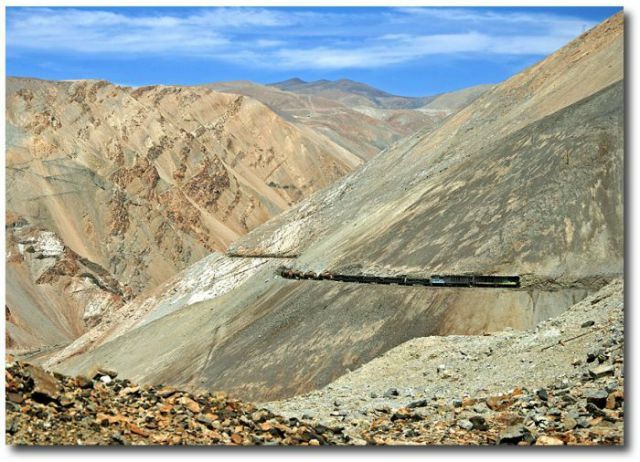 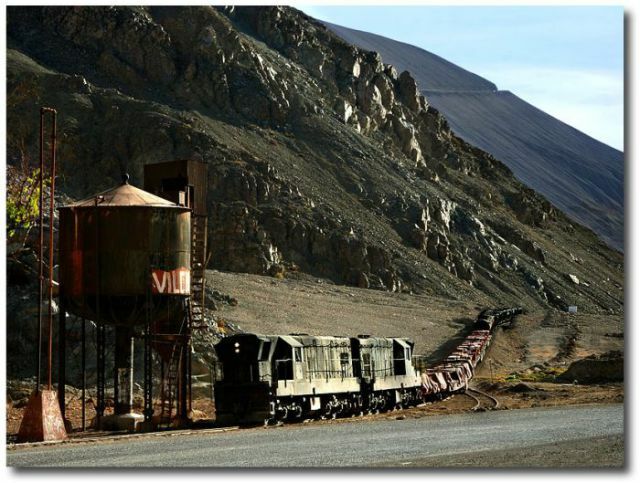 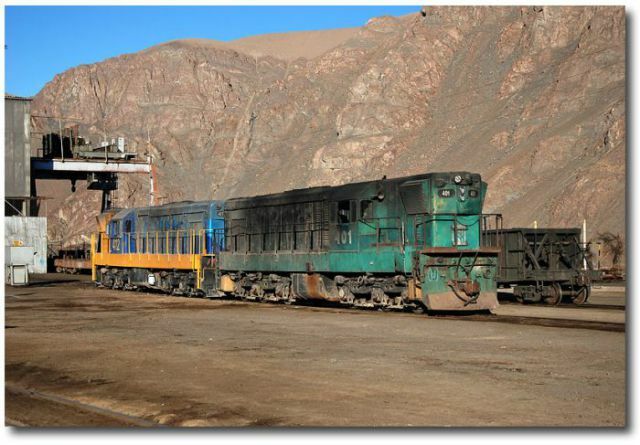 Welcome to the Chaсaral - Llantas Potrerillos railway line that is located in Chile. 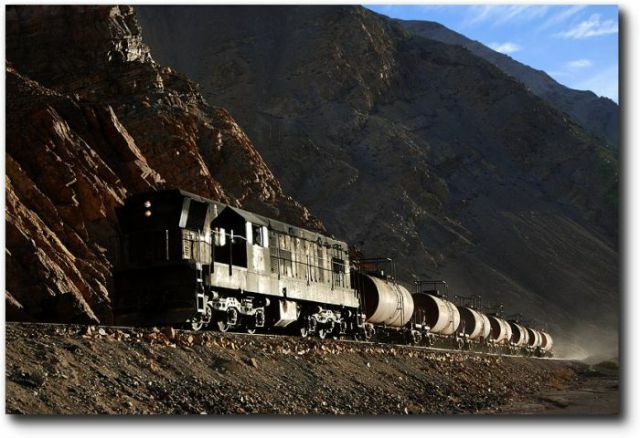 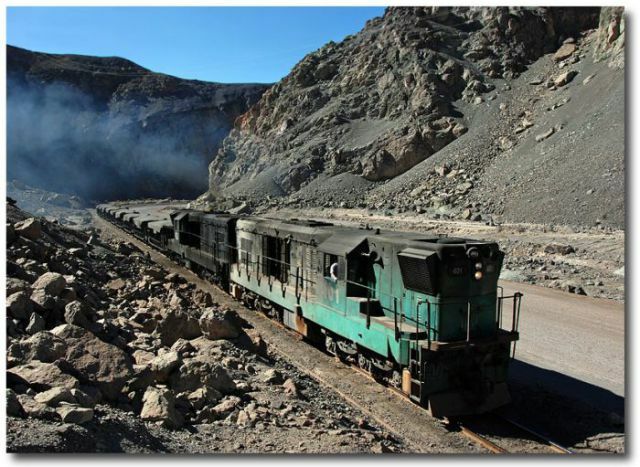 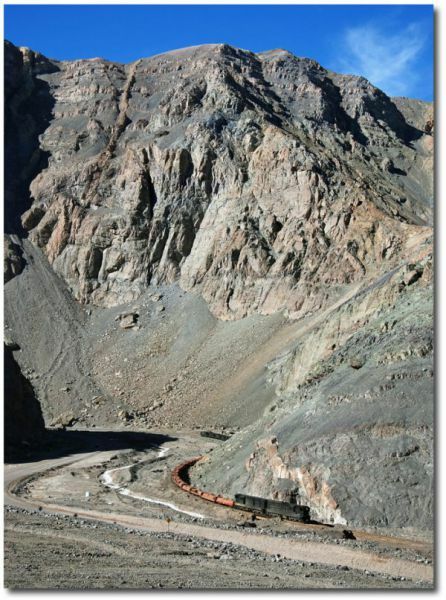 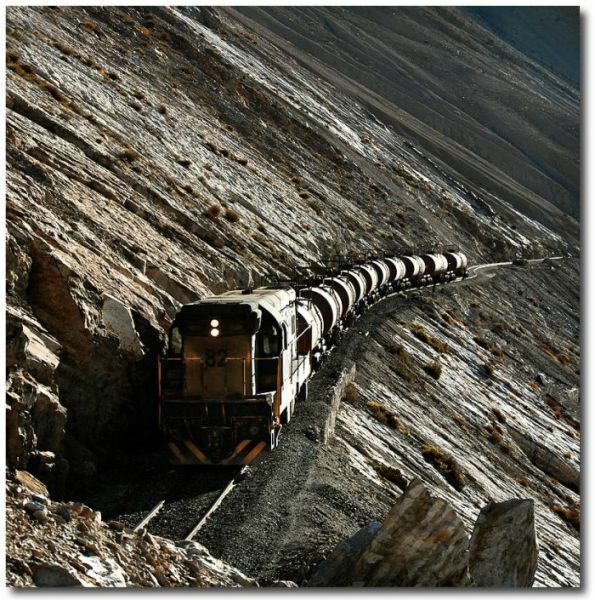 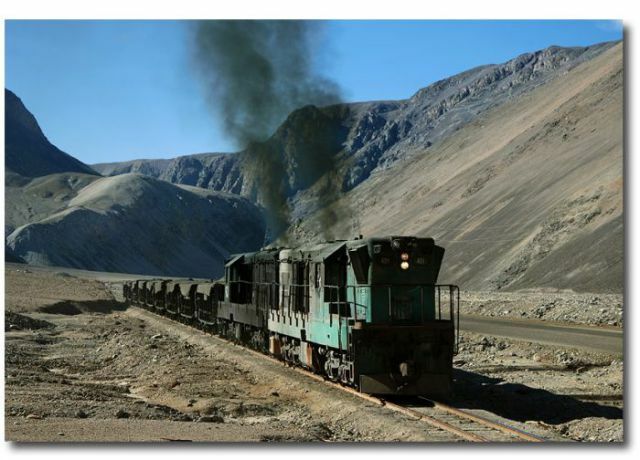 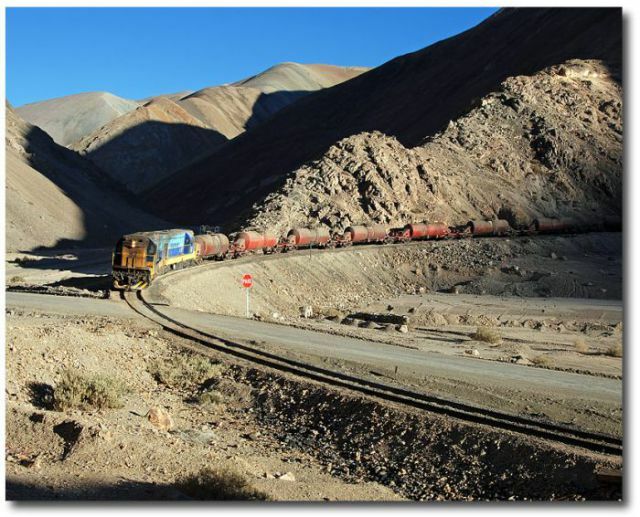 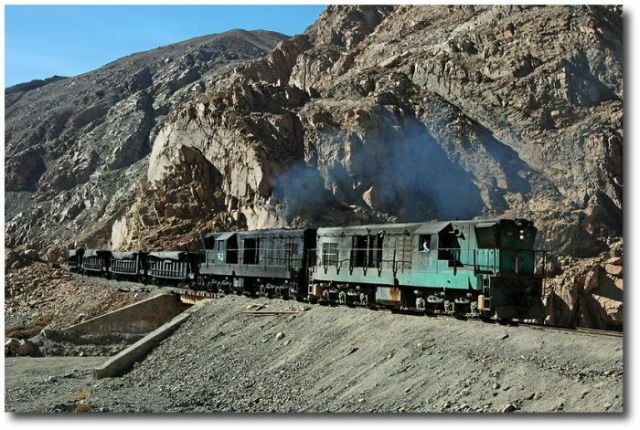 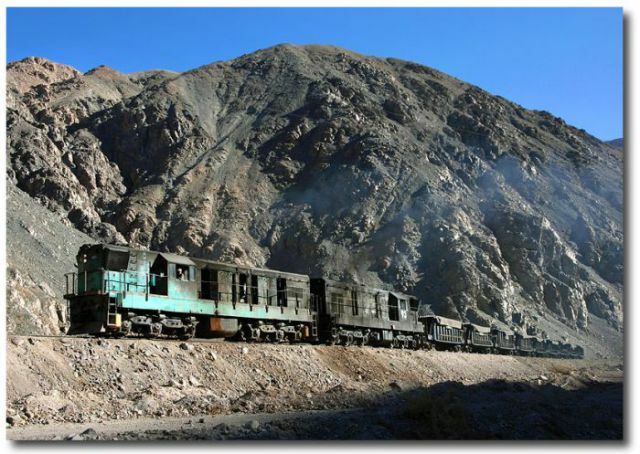 The railway line is owned by Codelco, which is a copper mining company that belongs to the state. 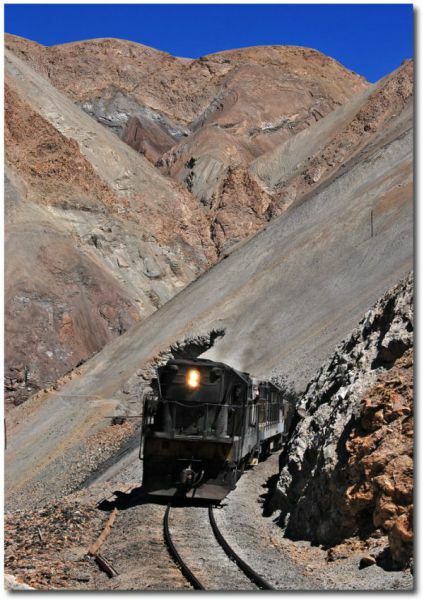 It travels through some breathtaking scenery, including a trip through the Andes.